Auckland's Regional Public Health Service has confirmed the city's legionnaires outbreak is officially at an end. There were 17 cases of Legionella pneumophila (Lp1) between February and July but no source was discovered for the outbreak and, as there have been just two confirmed cases in the past 78 days, it has has now been declared over. Building owners were advised to shock-dose their cooling systems as a result of the outbreak and Medical Officer of Health Dr Simon Baker said it has at least raised awareness of the risks and the need to monitor vulnerable water systems. "Legionella bacteria occur naturally in the environment and can reach levels dangerous to people. The Lp1 sub-species is commonly found in warm water systems. This outbreak indicates that maintaining cooling tower surveillance and treatment is of paramount importance," he said. "Any systems that use stored water without heating or cooling sufficient to kill bacteria need to be carefully monitored for Legionella presence and treated if necessary." Building owners also had to test for Legionella after three to seven days as a precaution during the outbreak and an inter-agency working party may push for legislative changes to make it mandatory to do so every month. 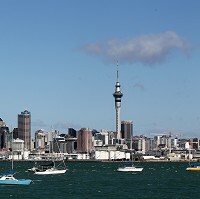 Auckland Council building control manager Ian McCormick said the group, which includes public health and building industry groups, may also suggest putting cooling towers on a register. Although the outbreak has been declared over, the incident offers a timely reminder of the need for medical travel insurance before jetting off to New Zealand and other countries.